OpenELEC 2.0 is here. The heavily customized Linux distro built around offering a lightweight XBMC frontend has pushed out two release candidates over the last few weeks, and the team confidently predicted with RC2 that the final version was near at hand. 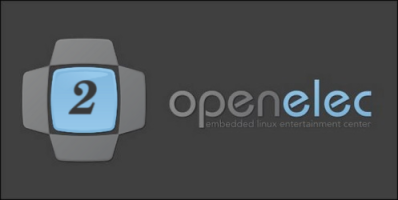 OpenELEC 2.0 is based on XBMC 11 “Eden” and incorporates the official XBMC PVR code branch and the PVR-optimized version of the default Confluence skin. Version 2.0 also brings CEC adapter support and promises vastly improved performace with AMD Fusion-based systems. With no Linux desktop lurking in the background, OpenELEC offers an experience about as close to an XBMC settop box as I have experienced with support for a wide range of XBMC add-ons, including a selection of OpenELEC specific add-ons. OpenELEC was specifically created to run XBMC optimally and provide a seamless media consumption experience without all the normal installation or upgrade hurdles. Its add-on architecture allows you to customize XBMC to your preferred look-and-feel along with adding new functionality as required. OpenELEC is extremely light weight (less than 130 MB installed) and supports a diverse array of hardware platforms.